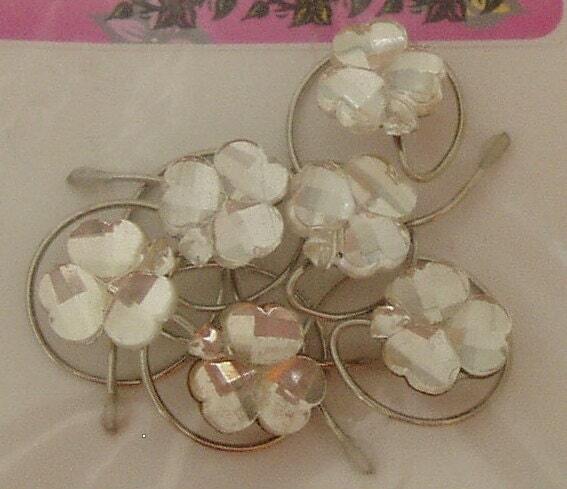 6 pretty crystal clear shamrock hair swirls for brides, ballerinas, skaters, majorettes, or Irish dancers. 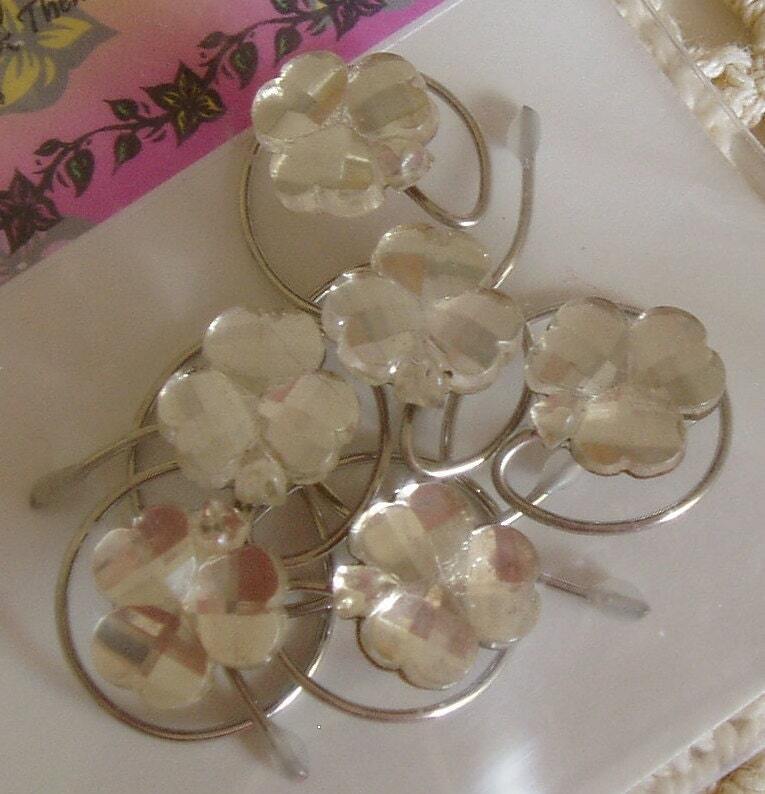 You are bidding on 6 pieces of amazing hair jewelry consisting of gorgeous crystal rhinestone shamrocks from the 1930's. 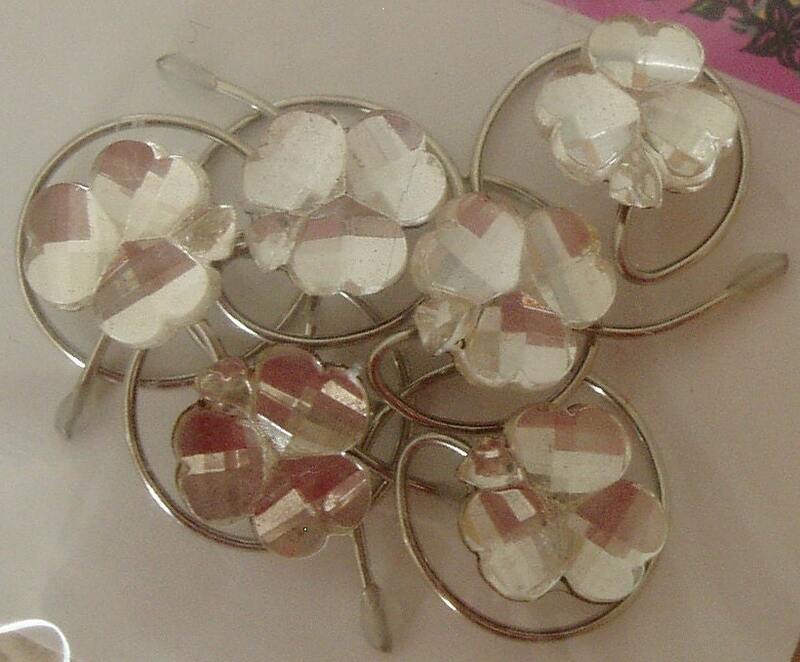 They are faceted glass rhinestones. The rhinestones were never used until now. They are about 1/2 inch in size. 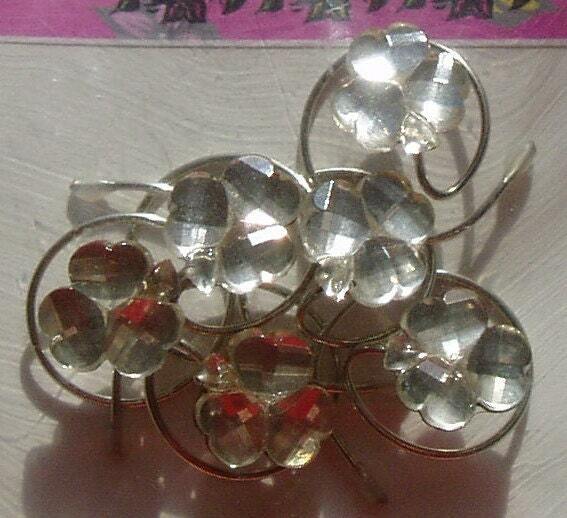 These have a dazzling shine. I guarantee it or your money back. 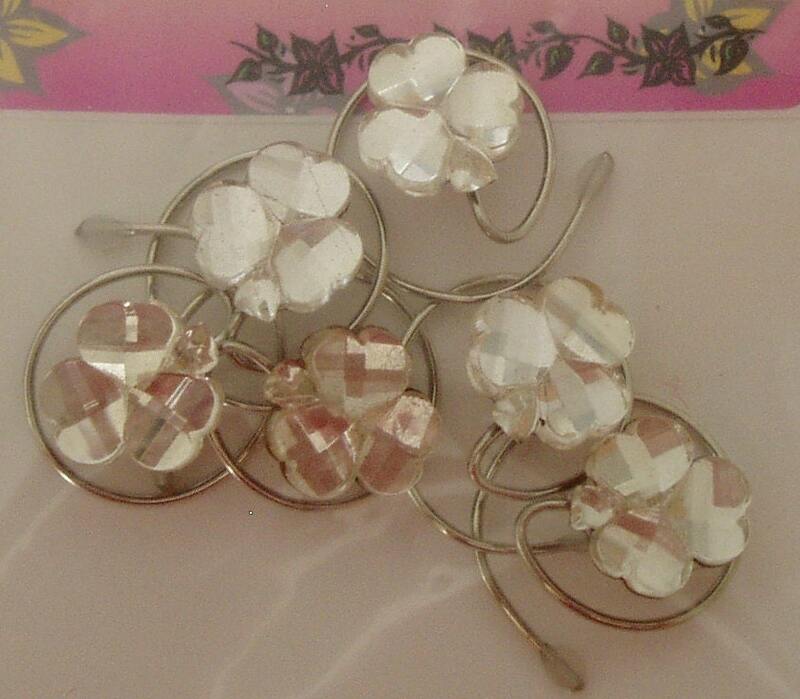 Crystal Shamrock hair swirls would be perfect for the bride and bridesmaids in an Irish Wedding. If you need more than one set of crystal clear shamrock hair swirls please let me know and I will list them for you.